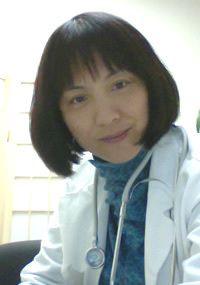 Xilin F. Jordan Xilin F. Jordan is a practitioner of traditional Chinese medicine, an NCCAOM diplomate, and is licensed in three states. Born and primarily trained in China, she completed four years of further study at the Pacific College of Oriental Medicine in New York, where she earned her Bachelor of Science and Master’s in Oriental Medicine and expanded her knowledge of Western medicine. In addition, Xilin spent several years under the personal apprenticeship of noted acupuncturists Dr. Wu Rui Fang and Dr. Zhang Zheng Hai. She continues to work periodically in China in collaboration with other doctors at hospitals in Zhuhai, Shijiazhuang and Nantong. From her training in the healing professions, Xilin Jordan, who practiced Qi Gong and Taiji Quan for decades under various Masters including Fang Jian Da, Zhao Zhen Xing, and Zhang Zhao Xun, not only acquired a strong belief in a healthy, well-rounded lifestyle but emerged as a passionate practitioner of the Chinese healing arts. Her dual background predisposes her to combine facets of Eastern with Western medicine into highly individualized forms of therapy for each patient. Through her combination of knowledge and sensitivity, Dr. Jordan’s treatment fosters experiences of deep relaxation of body and mind and helps to promote an overall improvement in health and wellbeing. From Eckhart’s Teaching I learn how to live every minute of my life and accept what is. Under Krishnamurti’s spiritual guidance, I pursue the freedom of the mind, learn to meditate and deepen my understanding. With Ram Dass and Wayne Dyer, I learn to love. Here are some quotes from them. “Acceptance looks like a passive state, but in reality it brings something entirely new into this world. That peace, a subtle energy vibration, is consciousness.” --Eckhart Tolle. “To understand the immeasurable, the mind must be extraordinarily quiet, still.” ― Jiddu Krishnamurti . “The ending of sorrow is the beginning of wisdom. Knowledge is always within the shadow of ignorance. Meditation is freedom from thought and a movement in the ecstasy of truth. Meditation is explosion of intelligence.” ― Jiddu Krishnamurti . “Happiness is strange; it comes when you are not seeking it. When you are not making an effort to be happy, then unexpectedly, mysteriously, happiness is there, born of purity, of a loveliness of being.” ― Jiddu Krishnamurti . “The most important aspect of love is not in giving or the receiving: it's in the being. When I need love from others, or need to give love to others, I'm caught in an unstable situation. Being in love, rather than giving or taking love, is the only thing that provides stability. Being in love means seeing the Beloved all around me.” ― Ram Dass . To have been rooted by birth and upbringing in East Asian culture and philosophy and thus to have absorbed ‘native’ influences from Buddhism, Confucianism, and Daoism is to have a sense of being grounded simultaneously in an underlying calm and alertness. This sense seems not contradicted but rather reinforced by immersion in the traditions of great Western music, in savoring the privilege of breathing-in the atmosphere that pervades creations of transcendent masters like Bach, Mozart, Schubert, and Beethoven, as their glorious spirits too have nurtured and cultivated my sensibility. The intelligence and virtues of Eastern medicine and Western music have thus seemed to work jointly to weave their strands into the fugue of my life and, therewith, the fabric of my healing art. In order to become worthy of them, gifts such as these, while they come ‘unbidden’ from the universe, ever challenge me to strive for the highest.